If you need to find a Lauderdale by the Sea Slip and Fall Attorney you can depend on, call the Law Offices of Robert E. Gluck, P.A. Robert Gluck has been providing the legal representation and guidance clients need since becoming a lawyer in 1989. He has built a solid reputation over the years and is well known for always being reliable and professional. 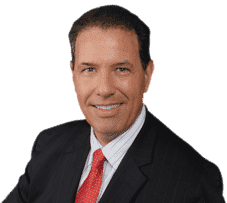 If you're injured from falling on someone else's property and you believe they should be held financially responsible, you should call Robert Gluck right away and hire him as your Lauderdale by the Sea Slip and Fall Attorney. He will first need to prove negligence existed and that's what caused your fall. Negligence is the legal standard one must follow to avoid injury to another person. As your Lauderdale by the Sea Slip and Fall Attorney, Robert Gluck will be sure to launch a thorough investigation into your accident and gather all of the evidence he will need to build a strong case for you. He will find any witnesses to your accident and take their statements, take photographs of the accident scene, secure video surveillance, and find any other evidence he needs. It's important to hire a Lauderdale by the Sea Slip and Fall Attorney to handle all of the details of your case. Studies have shown those who are represented by a lawyer may receive a higher compensation than those who try to handle the process on their own. You shouldn't have to deal with this by yourself. We will be there for you every step of the way.